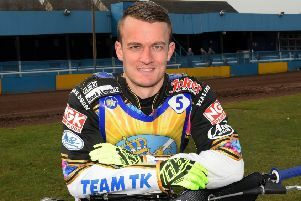 Agreement on the full transfer move was reached last December but kept under wraps until King’s Lynn eventually confirmed Riss was their final signing for 2019. Riss said: “I’m very happy to be back at King’s Lynn on a permanent basis, they were definitely my first choice club in the Premiership. “I made a decent start for them last season and believe I can improve further this season, especially away from home. I did not manage to do that last year and need to change that this time around. “The main thing for me is that I will start a full season in the Premiership division which is great, and I can focus all my efforts on riding in just one league. “I really enjoyed my first spell with King’s Lynn in 2018 and had a really good relationship with their fans. Getting more experience is important for me and feel at this stage of my career there are certain things that I need to sort out. I should be scoring a lot more and that is my target for this year. Harkess has not ruled out Riss returning to Monarchs sometime in the future, but this is unlikely unless British speedway moves to a single league set-up. 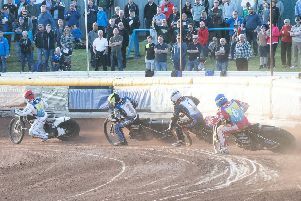 “It’s good that Erik will still be racing in Great Britain and he had other options open to him if he hadn’t joined King’s Lynn,” said Harkess. “But he impressed them first time around and it’s no surprise they wanted him back. The 23 year-old spent four seasons with Monarchs and doubled-up with the Norfolk outfit last season.